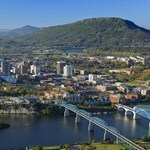 With its storied history and towering presence over Chattanooga, Lookout Mountain has an irresistible draw for cyclists. It also has some steep slopes! But for those up for the challenge, this iconic mountain makes for a memorable ride with a rewarding view at the top and an exhilarating descent back down to the bottom! 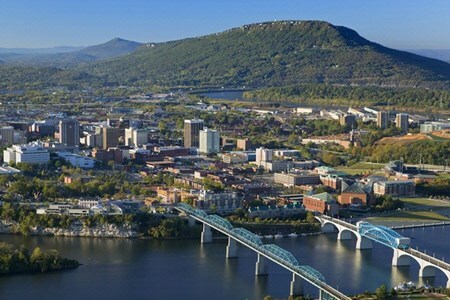 We'll meet you in south Chattanooga and ride directly from there. SHANNON BURKE, founder and director of Velo View Bike Tours, attributes his love for cycling to his wife, Celeste, who not only introduced him to the sport but also took him on his first bike vacation. 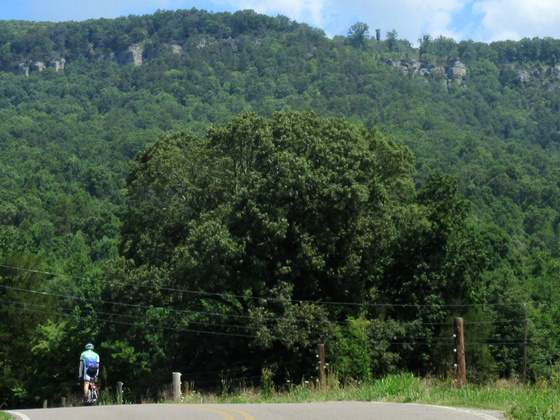 Already an avid traveler, Shannon found the bike vacation to be the perfect pace to see the world, providing the same intimate connection with the landscape found in hiking, while at the same time allowing so much more ground to be covered! Soon after taking that first bike tour, Shannon was planning custom private bike vacations. As a professional municipal planner, the organization came naturally, and it wasn’t long before he made the shift to the bike tour business full-time. Shannon named the business VELO VIEW as a tribute to the unique way the world is seen from the saddle of your bike. Promoting and sharing that perspective is what Velo View Bike Tours is all about. Since the founding of Velo View in 2012, we've enjoyed thousands of miles of incredible scenery with guests from all over the country. While continuing to expand the range of our tours, the business has intentionally stayed small, focusing on a more personalized experience with small groups rather than pursuing high turnover. Our guest-to-guide ratio (no more than 4:1) is still the best in the industry, and our attention to detail is second to none. That's why 100% of respondents in our post-tour survey have given us the highest rating possible for overall experience. And that's also why so many of them continue to join us each year for more adventures on the bike. The vast majority of our business is comprised of repeat guests! DAN PEDROZA runs the Texas branch of Velo View Bike Tours, leading our West Texas Bike Tours, our Texas Bike Retreats, and our Day Trips out of Austin. With a highly successful background in automotive repair (along with 15 years of car racing! ), Dan understands that customer service is about building relationships and attending to details on an individual basis, an approach that fits perfectly with Velo View's focus on personalized attention. In addition to his problem-solving skills and personable demeanor, Dan is also a strong bike racer, currently competing as a Cat 2 in Mountain Biking and a Cat 3 in Cyclocross. But the bike is more than just another racing vehicle for Dan; it's the ticket to a whole new way of seeing the world. "Life on the bike truly is an experience that transforms the body and soul into a more serene and appreciable lifestyle. The air smells cleaner, food tastes better and the world around you really seems to move to a different beat that everyone should experience in their lifetime."